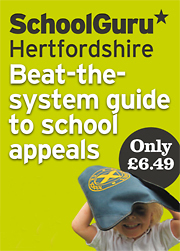 You can contact Hertfordshire County Council on 0300 123 4043. If you didn't get the school that you wanted, then sign up as a premium member - that's £75 for a year or £50 to upgrade your existing membership so that it covers email support. We'll do our best to help & advise you at this tricky & stressful time. You will not be offered a school place until the week of 22–26 April 2019. If vacancies occur, they'll be filled from continuing interest lists. Continuing interest lists close. To stay in the running, you will need to make an in year application. Psst! If you'd like to advertise here, get in touch! You can get a paper copy of the Under 11 booklet by emailing or calling 0300 123 4043. You will not be offered a school place until the week commencing 17 June 2019. National allocation day, we hope you got what you wanted. Continuing interest applications open. You can add new school preferences for some Hertfordshire schools for the first continuing interest run. Check Herts CC's website. Continuing interest lists are created. You're supposed to automatically go on the lists for any schools that you ranked more highly than the one you got offered - but always double check, particularly with the schools that manage their own admissions (eg faith schools, academies). Last date to register an appeal. Just register, if you're not sure - you can back out later if you want to. Continuing interest applications open for the second run. You can add new school preferences for any school for the second continuing interest run. School place appeals take place during this period. Good luck! You'll need to make an 'in year' application to stay on the lists for middle and junior schools (exact date TBC). You'll need to make an 'in year' application to stay on the lists for primary schools. Double check all dates with Herts CC for any cheeky last minute changes.